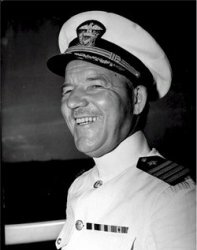 The Pacific War Online Encyclopedia: Hanson, Edward W.
FindAGrave.com. Fair use may apply. Hanson commanded a battleship division during the Marshalls, Philippines and Okinawa campaigns. Hanson had served as naval governor of American Samoa prior to war, and supported the policy of "benign neglect" that minimized interference with native customs.